Ready to take it to the next level? There’s nothing like a little competition to test and grow your angling skills. 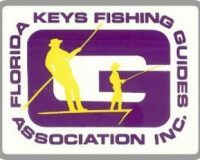 The following is a compilation of some of the popular fishing tournaments in the Florida Keys, listed roughly in the order in which they occur. Weather you’re a seasoned angler or just getting your line wet, there’s something for just about everyone. A sailfish tournament using 12-lb spin only, for boats up to 24′. Anglers can participate in the entire series, or fish as many or few as they wish. Cash prizes. E-mail Jim Dalrymple: jamesdalrymple@bellsouth.net. A fly fishing, all-release sailfish boat team tournament. Captains, mates or anglers can tease, but only the registered anglers can cast, hook and play the fish. Tournament rules are IGFA format. The invitational challenge is limited to 20 boats. Call or e-mail Sandy Moret: (305) 664-5423, sandy@floridakeysoutfitters.com; or visit www.floridakeysoutfitters.com. An all-release event for bonefish, redfish and snook in the shallows of the Florida Keys and the saltwater fringes of the Everglades. Call or e-mail Terry or Rusty Albury: (305) 664-5142, talbury@aol.com; or visit www.fkfga.org. Based in Key West, this tournament targets barracuda on the flats using artificial bait, flies and lures. Guides may participate as anglers. Entry fee is $350 per boat. Lots of fun and prizes. Limited to 20 boats. Call Loren Rea at (305) 294-3618; or e-mail info@keywestflatsfishing.com. Tournament anglers compete to catch the most inches of snook and redfish on fly. One inch equals one point. Only two catches of each species over the two days of fishing are counted toward an angler’s total inches. Awards given for grand champion, runner-up to grand champion, and largest snook, redfish and tarpon. E-mail Paul Tejera: captbackbone@gmail.com. The 1-Jig tournament will remain as it has for the past 15 years: Anglers are given their choice of one Backbone Skimmer Series Jig. Angler fish that jig on their choice of tackle (spin or bait-casting), as long as the lure lasts. Once the lure is lost or no longer usable, tournament fishing ends for the angler. The 1-Fly event will be a separate tournament. This year all entrants (jig or fly) must pre-register by sending an e-mail with the anglers names to Paul Tejera at captbackbone@gmail.com. e-mail Capt. Mark Johnson: (305) 393-0900, tailspincharters@hotmail.com. In this permit tourney, each fish is photographed with a digital camera, provided by the angler or guide. The scorekeeper must see a photograph of each fish caught, and a daily catch form with marked tape. For maximum points, a caught fish must be photographed showing the tag in the proper position. Tagging data sheets are collected as well. Call or e-mail Jon Ain: (303) 888-4546, falcutusdude@gmail.com; or visit www.marchmerkin.com. Up to 25 anglers compete in Islamorada, FL to accrue the most points for releases and weight fish caught using any of four classes of tackle. In 2010, organizers honored Bokor for his flats-fishing prowess and untiring support of Keys angling by naming the tournament for him. Call or e-mail Betsy Bullard: (305) 587-1460, fishnfever@bellsouth.net. The all release tournament recognizes bonefish of 8 or more pounds for points on an increasing scale per ounce, emphasizing larger fish. Fish released under 8 pounds can add to the score, not to exceed the weight fish points. Bonefish are weighed and released alive for additional bonus points. Call or e-mail Bert Scherb: (888) 922-9920, bscherb@askameritus.com. Former NASA astronaut Bruce Melnick, a mission specialist on the Space Shuttle Discovery in 1990 and flight engineer on the first flight of the Shuttle Endeavour, is to serve as celebrity host at this year’s event, and limited team entry slots still are available for the popular event that marks the annual migration of the mighty silver kings to Florida Keys waters. Anglers are to fish out of the Lorelei Cabana Bar & Marina, MM 82 bayside. Contact Gary or Susan Ellis: (305) 664-7882, susan@redbone.org; or visit www.redbone.org. The Annual Outback Golden Fly Tarpon Tournament is a three day battle of up to 25 anglers against tarpon. To qualify for a release the fish must be at least 48 inches, and a weight fish must be a minimum of 70 pounds. All weight fish are measured and photographed, then released. Each team is allowed five weight fish during the tournament. All tarpon must be released alive to count for points. For more information e-mail Betsy Bullard: fishinfever@bellsouth.net. The world’s top fly-rod anglers endure a five-day test of will and muscle, fishing Keys waters using fly tackle and either a 12- or 16-pound tippet. Named for the late fly fisherman and conservationist Don Hawley, the tournament benefits the Guides Trust Foundation, assisting professional fishing guides and supporting backcountry fishery conservation programs. E-mail HawleyTournament@aol.com for more information. This prestigious tournament, whose founders include baseball great and avid fly-fisherman Ted Williams, pits 25 fly-rod anglers against the tenacious silver king for four straight days of fishing. Experienced tournament anglers and novices are welcome to compete. 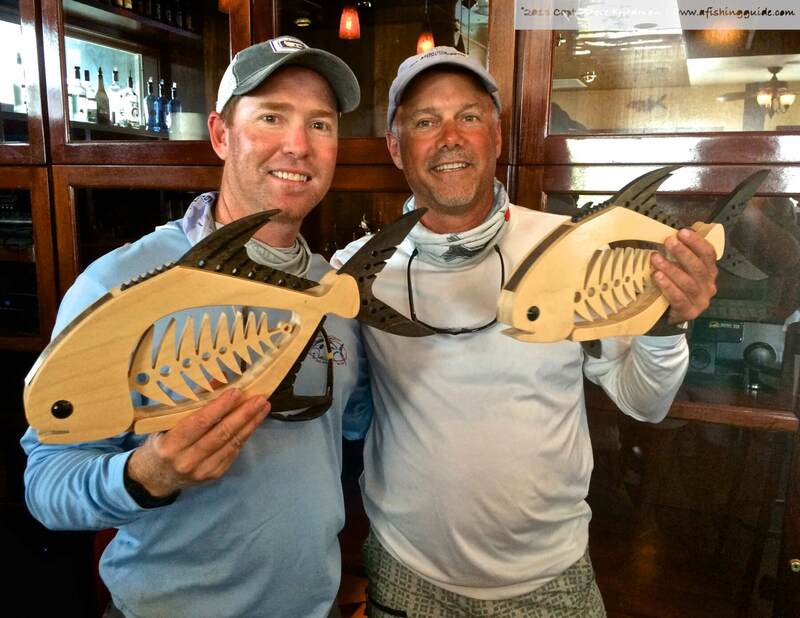 Tournament proceeds benefit children’s charities in the Keys. E-mail Liz Hill at lizhillfirst@bellsouth.net. This two-day fishing targets tarpon 4-ft or longer using fly tackle only. Headquartered out of the Lorelei Marina in Islamorada, guides and private anglers are allowed to fish in this event with a budget-conscious entry fee. Call or e-mail Wally Hynes: (305) 304-8253, keysguy1938@live.com. The event is dedicated to the man who made permit fishing with a fly rod famous, the late Del Brown. He caught 513 permit on a fly rod in his lifetime. This is a three-day event using fly tackle only. Based out of Key West and limited to 25 anglers. Call Loren Rea (305) 294-3618; e-mail info@keywestflatsfishing.com; or visit www.delbrown.com. It’s the first of three tournaments in the annual Redbone Celebrity Tournament Series, also called The Trilogy. Anglers target tarpon, permit and bonefish to achieve the coveted “flats grand slam.” The event raises funds for the fight against cystic fibrosis. Call or e-mail Gary or Susan Ellis: (305) 664-2002, susan@redbone.org; or visit www.redbone.org. This prestigious three-day test of skill and stealth challenges even the most seasoned of anglers as they take to the flats for this elusive fish. The “Fall Fly,” as it’s called in elite circles, is a test of skill and stealth and has attracted seasoned anglers such as Flip Pallot, Billy Pate, brothers Sandy Moret and Randy Moret as well as acclaimed Striptease author and celebrity columnist Carl Hiaasen, a seven-time tournament grand champion. Entry fee is $1,000 per angler, up to 25 participants. Call or e-mail Betsy Bullard: (305) 587-1460, fishnfever@bellsouth.net. Up to 100 anglers compete for snook, tarpon, redfish, sea trout, snapper, bonefish and black drum against the backdrop of Everglades National Park. An overall grand champ prize is given to the individual or team that catches at least four of the seven eligible species. Headquartered at the World Wide Sportsman in Islamorada, registration is $400 for adult anglers. Young adult and junior registrations are also available. Call or e-mail Linda Denkert: (305) 852-1425, backcountrybabe1@aol.com; or visit www.hermanlucernememorial.com. The annual challenge requires anglers to fish for trout and redfish. Proceeds benefit both local Rotary scholarships and Take Stock in Children, a statewide scholarship program for children in seventh through 12th grades. Entry fee is $125 per angler, $70 for young anglers (kids and juniors combined). Call or e-mail Mike Shipley: (305) 304-0421, mike@islandbayresort.com. The second of three tournaments in the annual Redbone Trilogy, the Baybone targets permit and bonefish to raise money for cystic fibrosis research. 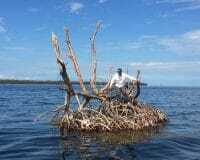 Among the celebrities who have fished recent Baybone tournaments is legendary angler Stu Apte. Call or e-mail Gary or Susan Ellis: (305) 664-2002, susan@redbone.org; or visit www.redbone.org. Only 25 competitors are accepted to participate, with one angler and a licensed captain per boat. The three-day challenge is said to separate great bonefish anglers from the wannabes. For more than a decade this event has been a major fundraiser to help control the feral cat population of the Upper Keys. Female anglers earn points for catching bonefish, permit, tarpon, snook and redfish using bait, artificial lures or fly tackle. Points also are awarded for ladyfish, sharks, jacks and spotted sea trout (also known as speckled trout). Call or e-mail Sharon: (305) 393-6174, sharellen@netzero.com. 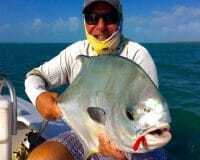 Held each year at the Islamorada Fishing Club in beautiful Islamorada, FL, anglers target and release bonefish, tarpon, permit, snook, redfish, jack crevalle, ladyfish, and spotted seatrout on the flats of the Florida Keys. It is the angler’s choice to fish bait or artificial, and spin, plug, and fly casting rod/reel combos are all permitted. Line is limited to 6# Ande clear and/or 8# Ande pink. IWFA membership is a requirement for tournament participation. This tournament is capped at 40 anglers. E-mail IWFA Chairperson of the LTT, Molly Flemming: Mobear4u@aol.com; or visit www.iwfa.org. Celebrities join other anglers to catch bonefish and redfish and raise money for cystic fibrosis research in the final event of the annual Redbone Celebrity Tournament Series. Call or e-mail Gary or Susan Ellis: (305) 664-2002, susan@redbone.org; or visit www.redbone.org. Held at Cheeca Lodge & Spa, Mile Marker 82, oceanside in Islamorada, this inaugural event targets snook, redfish, bonefish, tarpon and permit. World Wide Sportsman is the headquarters for fishing. Prizes and trophies awarded, and proceeds benefit the Bonefish Tarpon Trust. Registration fee of $2,000 includes entry into three social events, including an all-American barbecue for angler, guide and guests on the beach at Cheeca. Daily continental breakfast dockside at World Wide Sportsman included. Call or e-mail Julie Olsen: (360) 288-2436, rainrider@hughes.net; or visit www.cheeca.com.